Plan a Unique Holiday today…. We have been planning great holidays for our guests since 1989! Almost all of our guests choose to repeat traveling with us, which is testimony to our commitment to unmatched service. Custom Holidays can be suited to any budget. Today it is possible for almost anyone, to drive across New Zealand, Cruise the Mediterranean or Explore the Amazon. If you are a seasoned traveler, then explore newer territories, but whether it’s a family holiday in Singapore or a solo trek through the Andes, we will help you have the best time of your life, you have our word! With our vast network of travel partners, no destination or activity is out of bounds. This also means that it is possible to travel to unusual destinations at prices that give you best value for your money, Call us to find out more! 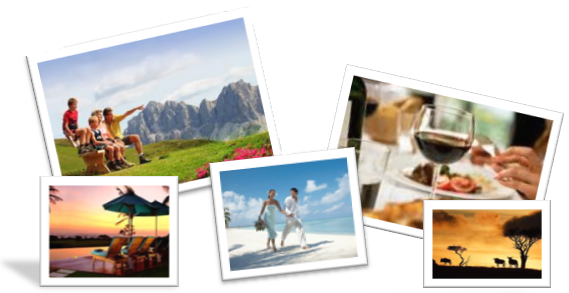 From tickets, hotels, insurance, airport transfers & ground arrangements including local activities & sightseeing. Unlike booking on the Internet, we are just a phone call away, to address any issues or concerns at all times, before and during your holiday.